1. What are the advantages to the customer using PIKEPASS Stickers? PIKEPASS Stickers are permanently mounted to windshields and have a very high accuracy for reads when mounted properly. If the windshield or microchip in the PIKEPASS is not damaged the PIKEPASS Sticker can last the life of the vehicle. 2. How can I get a PIKEPASS Sticker? You have four options: (1) Call the Customer Service Center at 1-800-745-3727 (2) Stop by one of the three full service stores in Oklahoma City or Tulsa (3) Go to one of our Limited Service Facility partners around the state (4) Set up and use an online account through pikepass.com. There are currently no fees for the PIKEPASS Sticker. However, there is a $25 fee for the PIKEPASS Portable. 4. Will my PIKEPASS Sticker work if I don’t mount it? No. It must be mounted directly to the glass windshield to ensure it will read throughout the turnpike system. The windshield acts as an antenna. 5. How do I install the PIKEPASS Sticker? For most vehicles, refer to our “mounting instructions”. The PIKEPASS Sticker must be mounted correctly and directly to the windshield to ensure it will read properly throughout the system. Certain vehicles have windshields that are not suited for PIKEPASS Stickers. See our Problem Windshield List. 6. What happens if I bend the PIKEPASS Sticker? The microchip technology will be damaged if the PIKEPASS Sticker is bent. In addition, peeling the PIKEPASS Sticker from the windshield will also cause damage. If you damage it during installation, please contact us for a replacement. 7. What happens if I have a PIKEPASS Sticker and my windshield is broken and needs to be replaced? Contact us immediately so it can be deactivated and a replacement PIKEPASS Sticker issued. 8. If I purchase a car with a PIKEPASS Sticker mounted on the windshield, can I use it? Yes. However, the PIKEPASS Sticker must be activated prior to use. Contact the Customer Service Center at 1-800-745-3727 and provide the PIKEPASS Sticker number along with the vehicle license plate so that both can be added to your account. You will need to open a PIKEPASS account if you do not have one. 9. How do I deactivate a PIKEPASS Sticker or Interoperable Sticker Transponder assigned to my PIKEPASS account ? Contact the Customer Service Center at 1-800-745-3727 as soon as possible during business hours to deactivate it. PIKEPASS>View My Transponders>Transponder/Vehicle Information>Primary Vehicles Grid. NOTE: Even if you peel a Sticker transponder off the windshield after selling or trading the vehicle, you must do one of the above to prevent possible License Plate tolls from being charged to your account. 10. Is there a portable option? Yes, if you do not want to use a PIKEPASS Sticker, you may choose to use a PIKEPASS Portable. There is a one-time $25 fee. The Portable uses the same new technology as the Sticker and can be moved between vehicles of the same class that are listed on the account. 11. What if I occasionally pull a trailer? You can still use a PIKEPASS Sticker. Contact the Customer Service Center at 1-800-745-3727 before and after your trip. If you did not make the class change on your account prior to traveling, you should stop at an attended toll booth on the turnpike(s). A toll collector can make the change for you for that (one way) trip. Another option is to pay the $25 fee for a Portable for the regular vehicle class, and we will not charge you the fee for the second one with the higher class for use when towing a trailer. 12. Can I use a PIKEPASS Sticker on my motorcycle? No. A PIKEPASS Portable must be used for motorcycles. PIKEPASS Stickers will only work properly when mounted on glass windshields. There is no fee for Portables used for motorcycles. 13. What are the benefits of using a PIKEPASS? PIKEPASS use provides totally automated electronic tolling and non-stop turnpike travel. PIKEPASS customers receive an average 5% savings off the posted cash rate for tolls. In addition, PIKEPASS customers with 20 or more qualifying toll transactions per month, per PIKEPASS tag, receive an additional 5% credit to their accounts with our Volume Discount Program. 14. How many PIKEPASSes or Interoperable Transponders can I have assigned to my PIKEPASS account? You can have a PIKEPASS or Interoperable Transponder for every vehicle. An additional account replenishment amount will be required for every 5. If more than 15, the account replenish amount will be increased to that of a commercial account. 15. What are System Matched and reclassification transactions and how are they displayed on my statement? A transaction displayed in bold with a * to the left of the Entry or Exit Plaza name indicates a System Matched Transaction or Violation Toll where the PIKEPASS was not properly read at both the entry and exit locations. The entry or exit plaza displayed with the * identifies the location the system used to calculate the toll charge. System Matched Transactions are calculated at PIKEPASS toll rates and Violation Tolls are calculated at CASH toll rates. These occurrences may be caused by improper mounting of the PIKEPASS, vehicle restrictions, the equipment itself or other factors and can result in incorrect toll charges. A transaction displayed in bold with a ^ to the left of the Turnpike name indicates that OTA turnpike vehicle identification equipment has identified a vehicle classification (axle count) for the specific toll transaction different from that reflected in your customer records and can result in incorrect toll charges. If you believe you were charged incorrectly, please contact the PIKEPASS Customer Service Center for assistance within 30 days of the Statement Delivery Date. 16. I have a PIKEPASS and a NTTA account OR a PIKEPASS and a K-TAG account; can I keep both accounts? Yes. In some situations it may be better for you to keep both accounts. However, it is recommended you call PIKEPASS Customer Service at 1-800-PIKEPAS (1-800-745-3727) to determine if one or two accounts work best to address your needs and driving situation. Even if you have separate accounts, you should only use a single transponder per vehicle to minimize the risk of double billing and other toll and parking transaction issues. 17. How do I make a payment on my account? 18. What is an online account and how do I open one? Existing customers may open an online account where you can update vehicle or account information, make payments, and other activities. You can elect to have statements sent to you via email which you can view, save and print at any time. This is a much more timely and convenient way to manage your account and receive statements. To get started simply click on “Home” at the top of this page and follow the instructions. 19. What do I do if I lock myself out of my online account? Call our Customer Service Center at 1-800-745-3727 during business hours to unlock your online account. 20. What do I do if I see a yellow light above the “PIKEPASS Thanks You” light when I travel through a PIKEPASS Lane? Contact the PIKEPASS Customer Service Center as soon as possible to check on the status of your account. 21. What if my PIKEPASS Sticker is not reading and I have it mounted on my windshield? Contact the PIKEPASS Customer Service Center for assistance in resolving the problem. 22. I received a Notice of Toll Evasion and I do not have a PIKEPASS account. What do I do? Follow the instructions that were sent with the toll evasion notice. If you still have questions, please call the PIKEPASS Enforcement Branch directly at 1-877-774-9569 (toll free). 23. I received a Notice of Toll Evasion and I have a PIKEPASS account. What do I do? Follow the instructions that were sent with the toll evasion notice or contact PIKEPASS Customer Service Center at 1-800-745-3727 for immediate assistance to resolve the problem. Interoperability allows a customer to use their transponder for travel on other Toll Agencies’ roads. The tolls will be billed to the customer’s PIKEPASS account as long as your account maintains a positive balance and Interoperability has been selected. 25. Where can I use my PIKEPASS transponder? 26. Will my OTA PIKEPASS transponder work for Dallas/Ft. Worth or Love Field Airport parking? No. At this time only the NTTA Sticker TollTag transponder will work for Dallas/Ft. Worth or Love Field Airport parking. 27. Can I use my NTTA Hard-Case TollTag or License Plate Mounted transponder on Oklahoma toll roads? No, the Oklahoma Turnpike Authority’s PIKEPASS system will only work with NTTA’s newer Sticker TollTag transponder. Customers with a sticker type NTTA TollTag transponder can use Oklahoma toll roads at the same discounted rate PIKEPASS customers receive. To replace older NTTA Hard-Case or License Plate Mount transponders with new sticker type TollTag transponders free of charge stop by one of the NTTA TollTag stores, visit the NTTA website at www.ntta.org or call NTTA Customer Service at 1-972-818-NTTA (1-972-818-6882). 28. I have a PIKEPASS and a NTTA account OR a PIKEPASS and a K-TAG account; can I keep both accounts? 29. I have more than one transponder (i.e. PIKEPASS and NTTA Sticker TollTag) mounted in my vehicle; can I use both? No. To minimize the risk of double billing and other toll and parking transaction issues it is strongly recommended you only use a single transponder per vehicle. Please call PIKEPASS Customer Service at 1-800-PIKEPAS (1-800-745-3727) to assist you in determining which transponder you should remove. 30. Can I use my PIKEPASS while I am towing a trailer or riding my motorcycle? Yes. As you travel on other Toll Agencies’ toll roads, the vehicle will be automatically classified, according to the total axle count, and the appropriate toll will be charged. 31. I received an NTTA ZipCash Bill; what should I do? NTTA sends ZipCash invoices to Vehicle Owners that travel on NTTA toll roads but do not have a valid NTTA TollTag account or an interoperable PIKEPASS account. If you were using a PIKEPASS, please contact PIKEPASS Customer Service at 1-800-PIKEPAS (1-800-745-3727) or visit one of our Store locations for assistance in determining possible problems with your PIKEPASS or to ensure your License Plate information is accurate. If you were using a NTTA TollTag, please contact NTTA Customer Service at 1-972- 818-NTTA (1-972- 818-6882) for assistance in determining possible problems with your NTTA TollTag. To pay your ZipCash invoice visit the NTTA website at www.ntta.org or call NTTA Customer Service at 1-972- 818-NTTA (1-972- 818-6882). 32. If I maintain my PIKEPASS account and have questions about tolls on my statement for Kansas travel, who do I contact? Questions about toll charges for Kansas travel should be directed to K-TAG Customer Service at 1-800-USE-KTAG (1-800-873-5824). 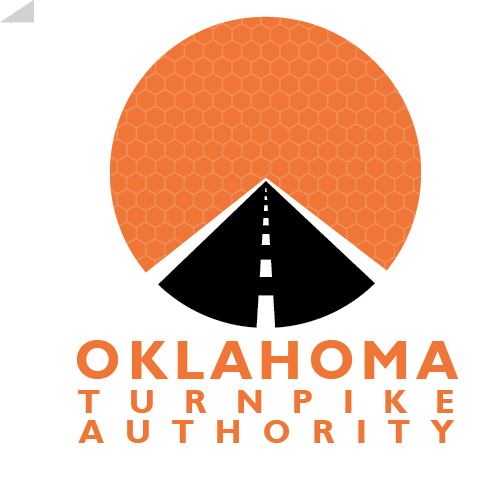 If you maintain a K-TAG account, questions about toll charges for Oklahoma travel should be directed to PIKEPASS Customer Service at 1-800-PIKEPAS (1-800-745-3727).